Building a brand is a long-term relationship. STRATEGY. NAME. VOICE. LOGO. MARKETING. 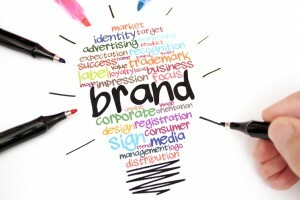 The marketing term “branding” comes from cattle brands – a way of something being recognized as yours. Whether your business is a start up or has been around for decades, it’s always the right time to build – or re-build – a brand. Branding is much like building a house. You start with the foundation, which is your strategy. Then, you build the frame that will give the house it’s underlying look and frame. That’s the businesses name, tagline, motto and mission. Once you have that set, it’s time to give your house its unique look, which comes in the form of logo, website, business cards, and all the “fun” stuff we also handle for you. At eKAT, we have a collective of marketing professionals from various fields who are experts at uncovering what your business means to you. We follow a process that will allow you and your team to get on the same page regarding the ideology and image the company must have. Once the foundation is established, we bring in our design and implementation experts to build your business’ brand with you. As a result, you will best attract the audience you are targeting. will help you uncover what your business means to you or how your business needs to re-brand in order to better attract your ideal audience and reflect your ideology.